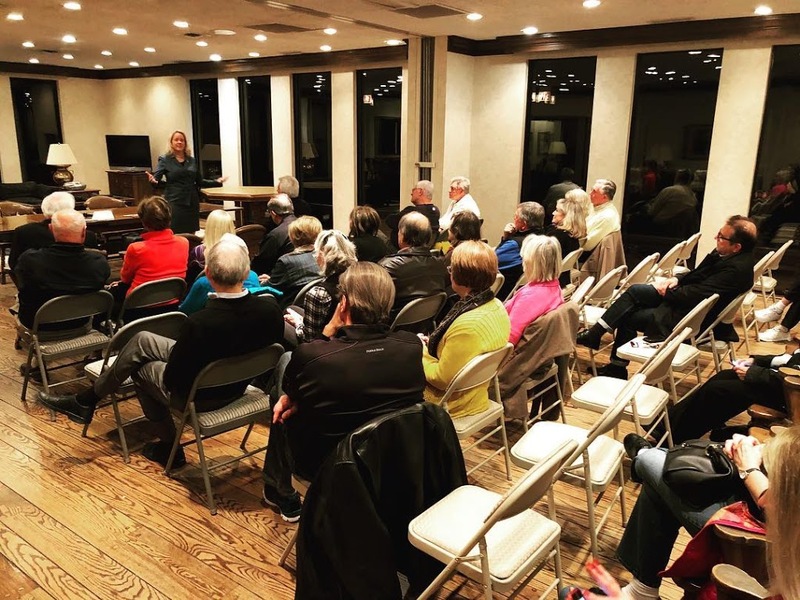 State Representative Deanne Mazzochi met with approximately 50 members of the Grau Mill Homeowners Association (GMHA) in Hinsdale, Monday evening to discuss issues of importance in the 47th District. In a town hall-style meeting, Mazzochi offered a recap of her background and experience as a scientist, attorney, and her current position of State Representative of the 47th District. Citing her legal practice, her husband’s development firm and as Chairman of the Board of Trustees at College of DuPage, she’s steadily gained extensive feedback, knowledge and experience that has heightened her awareness of areas that matter most to Illinoisans. Several concerns were prioritized, including taxes, healthcare, real estate, transportation, education, and manufacturing. “I plan to use this knowledge to help Illinois turn around – using the skills I have, and some I’ll be adding, based on what our residents needs are,” Representative Mazzochi said. Recently, while visiting residents in Hinsdale, a gentleman echoed that point. As the owner of a manufacturing company he shared his frustration that because of Illinois’ high taxes, his company was forced to move across the border to Indiana. This move took 200 jobs with it across the state line. A key part of the solution is to force government to be fiscally responsible with taxpayer dollars. Mazzochi referred to her own initiative at the College of DuPage, where, as the Chairman of the Board of Trustees, she led the college in making changes with a high enough impact to turn the college around. “We were able to put a stop the ‘pay to play’ practices and introduced competitive bidding. That alone saved taxpayers $20 million,” she said. “When you do things the right way, for the right purpose you can really be proud of what you do and it becomes contagious,” she added.